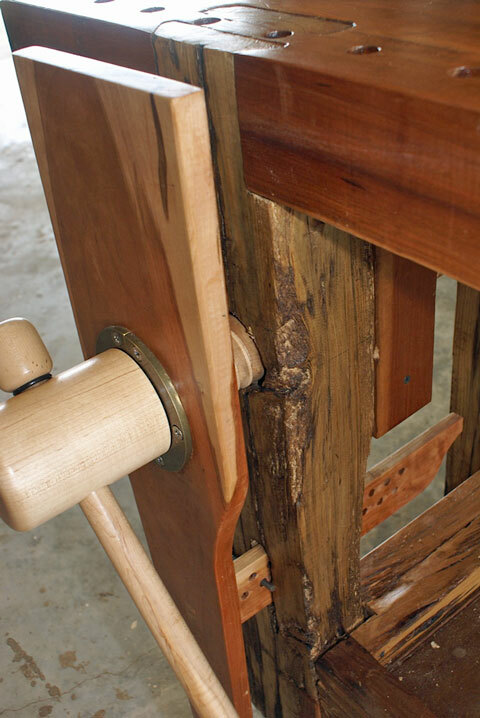 We have had great success with our wooden Wagon and Shoulder Vise Kits that we launched in 2013. One aspect of these kits is that it requires that the standard wood nut included with the kit be ‘built up” or sandwiched with additional wood. This would then provide you with the proper dimensions needed for a solid wagon vise end cap or a shoulder vise arm. Once you have the proper size wagon end cap or shoulder arm constructed and installed, these vises are fantastic and will provide you with many years of use. But wouldn’t it be nice if you could just take the wooden nut out of the Lake Erie package, trim it to length and then dovetail or bolt it into place without having to “build up” and create the vise end cap or shoulder arm? Effective immediately, Lake Erie Toolworks is offering an Extended Wooden Nut option for all of our Wagon and Shoulder Vise Kits currently available today. This new Extended Nut is properly sized (2-3/4″ thick x 4″ wide x 28″ long) so that you can trim it to the proper length for your wagon or shoulder vise application and then dovetail or bolt it into place and you are ready to go. 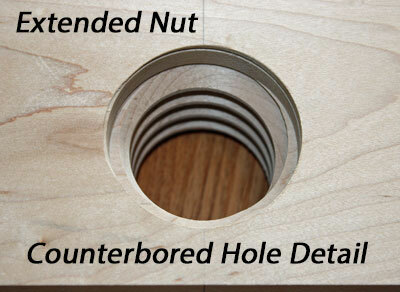 No need to “build up” or sandwich additional wooden boards onto a smaller wood nut to construct your final vise end cap or arm. 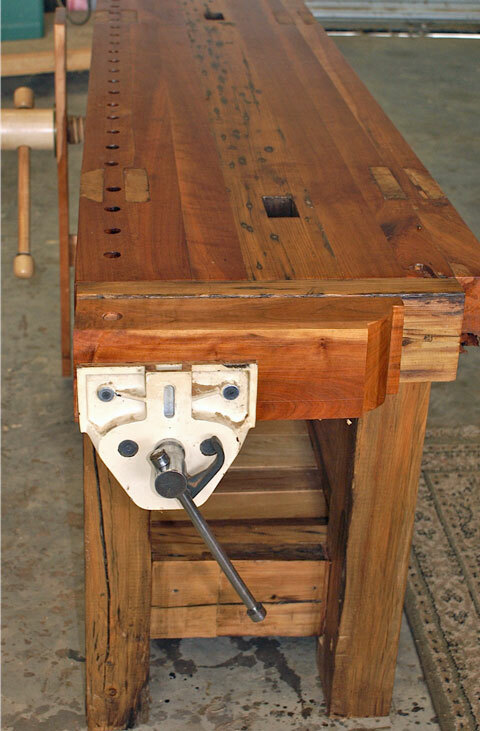 The vise hole is even counterbored for you so that your wagon or shoulder vise can screw in closer to the bench top. Also, adding the Extended Nut option to your Wagon or Shoulder Vise Kit order couldn’t be easier. Simply select the “Extended Nut” option where it lists the “Wood Nut Style” selection on the Wagon or Shoulder vise ordering page. The pricing will automatically re-calculate to display the correct final kit price. For those of you that don’t mind a little extra work, we will still continue to offer our wagon and shoulder vise kits with our “standard wood nut”. You will just need to build up the nut as previously mentioned to arrive at your final vise end cap or shoulder arm size. Here are some additional pictures that will give you better details as to what the new Extended Nut looks like. Our October 2014 Workbench of the Month comes to us from Eric from Lafayette, Louisiana. He has transformed mainly Cherry from a locally harvested tree and reclaimed Cypress from a barn beam into a fully functional work of art. We know you will all truly enjoy this wonderful bench. Very well done Eric. 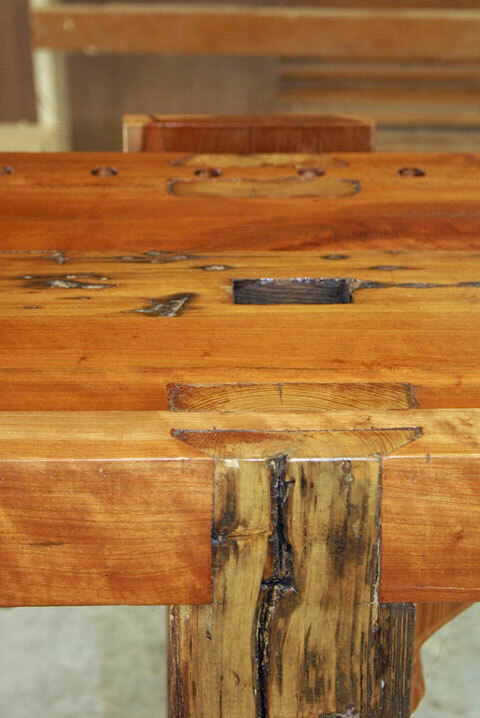 The dimensions of the bench are 69-3/4″ by 18-1/2″ by 34″ tall. The top is 3-3/4″ thick. The legs are 5-1/2″ by 3-3/4″. I made the top out of a cherry tree that was felled and milled about six years ago. 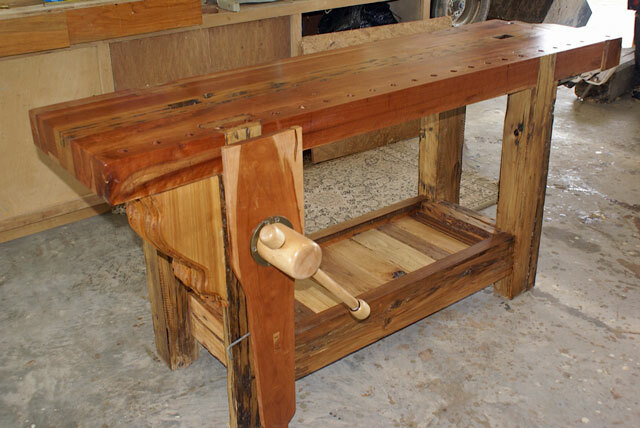 The rest of the bench, including the center of the top is an old cypress beam from a barn, and the mortises were in the board from its prior use. The cherry comes from a huge tree that was grown locally and was felled by a friend of mine. I had it milled and let it air dry for many years. The tree also yielded wood that I used for other projects, including the top of my dining room table, a trestle table made with black walnut. The person who milled the cherry tree for me milled these pieces at 4 1/2 inches thick, even though I did not direct him to do so. (I lost some thickness to eliminate some twist that came from the air drying.) Believe it or not I was a bit irritated when I picked up the wood because I did not ask for anything thick, and it had not yet entered my mind that one day I would make a workbench and that this thick lumber would be perfect for the top. 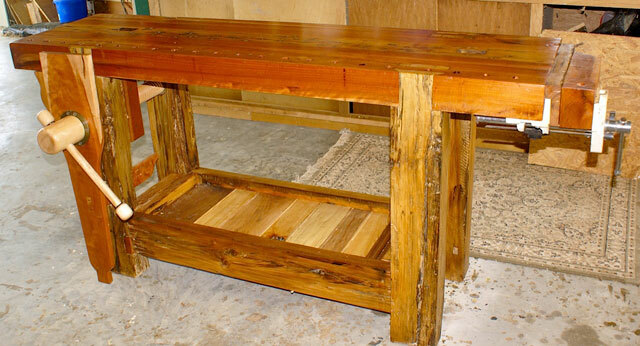 The legs and base are also made out of old cypress beams from that same barn. The bottom shelf is made from various scraps-mahogany, red oak, gum, hackberry and other woods. I have been working on this bench since about September 2013 and I look forward to a lifetime of enjoyment and use of my workbench. I am a big fan of your vises and have been checking out your work benches of the month for some time now.